I’m Linda Newton and I’m a Delivery Support Manager, and I’m James Peart and I’m a Delivery Manager. Our recent events for school students to find out more about DWP Digital have been a great success but we wanted to do more. 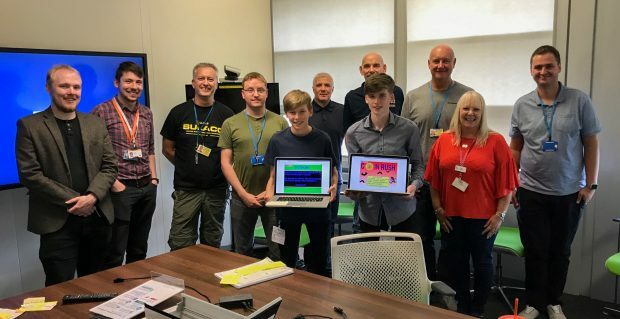 Last week we had two students from Gateshead and Jarrow with us for the week to get a more in-depth experience of digital, data and technology opportunities in DWP Digital. We believe that the success of the government’s digital agenda relies on building motivated teams of talented professionals. Part of this is making sure that the next generation understands how important our work is and what their role in it could be. 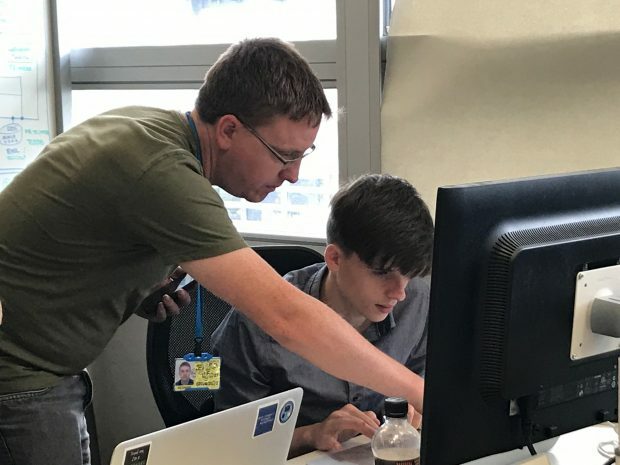 Most recently we’ve just finished hosting a week of work experience for two 15-year-old students from Cardinal Hume in Gateshead and Jarrow School. One of the students, Brandon, arranged the work experience after attending our first school visit event. The goal was to give the students a genuine experience of DWP Digital and an opportunity to lead a piece of work of their own. 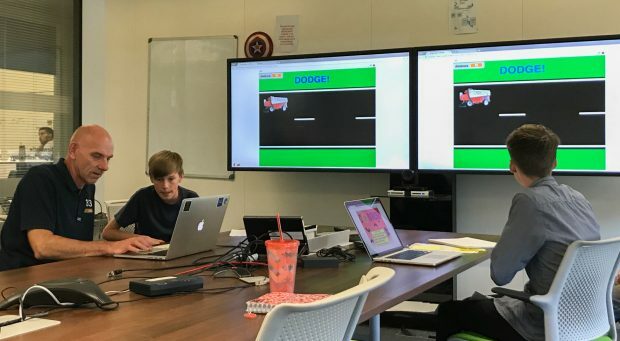 The challenge was to develop a game using Scratch (a free programming language and online community where you can create your own interactive stories, games, and animations) through an agile approach that met a simpler version of the Digital Service Standard. We organised workshops to give them the necessary skills from prototyping to coding, and the support they needed to learn more. We were impressed by just how engaged the students were. Even when they finished for the day, they carried on working at home, even getting their parents to play their games at night. It was great to see their confidence grow through the week as they exceeded every challenge we set them. By the end of the week both had well-made games to present in their Show and Tell. It became a serious competition in our team to get the high scores. If you’re interested in working at DWP Digital, find out what opportunities we currently have; follow us on Twitter @DWPDigital, and view our latest jobs.